The ExoView™ platform provides the ability to measure up to 4 markers on a single extracellular vesicle, with single binding event sensitivities. Measure even the smallest EVs with confidence. 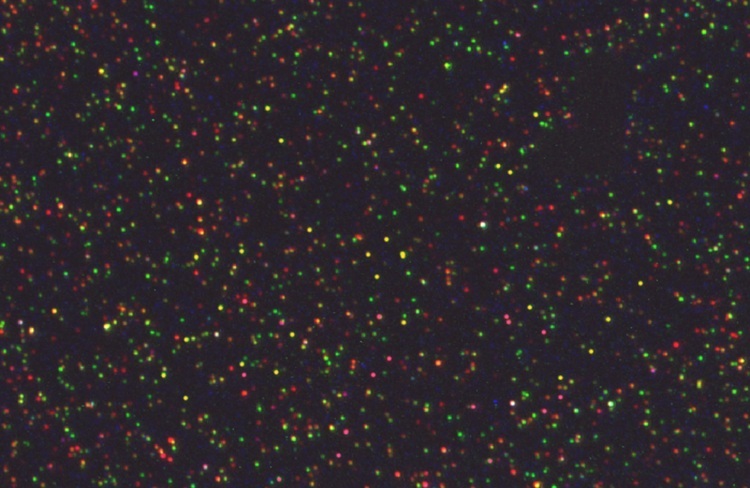 Measure 3 color fluorescence on single EVs which are bound to the ExoView™ microarray chip. Measure up to 4 markers on a single extracellular vesicles.